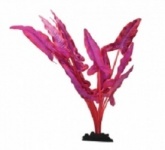 Enhance the look of your aquarium with Aqua One's stunning range of Silk Plants. 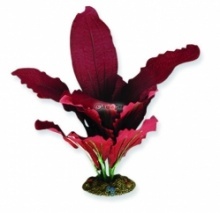 Natural, soft and exquisitely designed, these plants look just like real plants in your aquarium. Available in a range of single plants along with great value Multipacks. Part of Aqua One's popular Ornaments & Decor range. 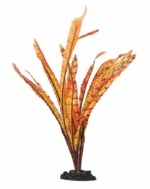 If you want the most natural looking planted aquarium but don't want to have the additional work of keeping live plants, then the Aqua One Silk Plant range is for you. There's a nice variety of types and sizes to choose from and all come with a rock effect base to keep them firmly planted in your aquarium substrate. 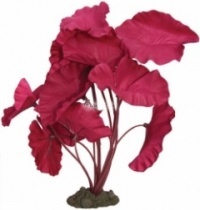 Completely safe in coldwater, tropical and marine setups alike Silk Plants make a stunning addition to any aquarium. Aqua One Silk plants are superbly soft and natural. 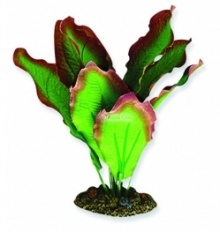 This 20cm Puple Sagittaria is beautifully made and looks extremely realistic. 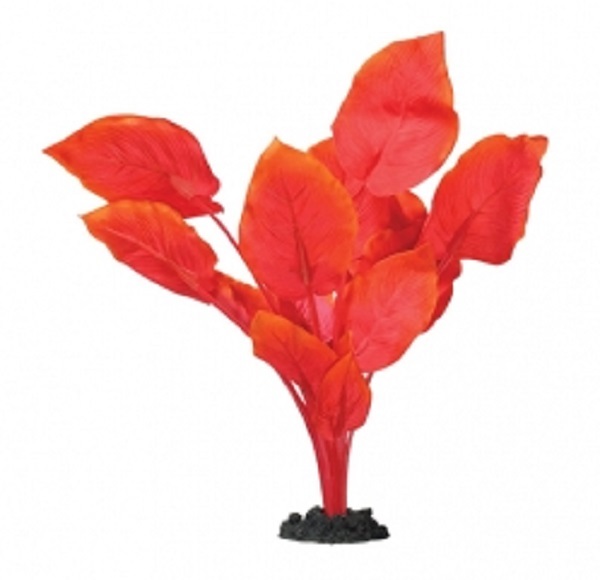 Combine with other silk plants or use a single item to enhance the natural appearance of your aquarium. Aqua One Silk plants are superbly soft and natural. This Blue Osiris Sword is available in a range of beautifully made sizes and looks extremely realistic. Combine with other silk plants or use a single item to enhance the natural appearance of your aquarium. Aqua One Silk plants are superbly soft and natural. 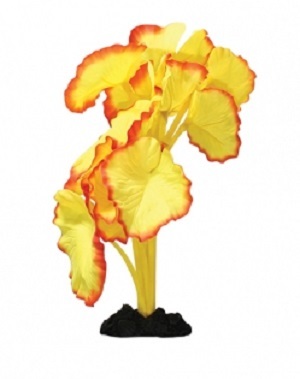 This Yellow Anubias is available in a range of beautifully made sizes and looks extremely realistic. Combine with other silk plants or use a single item to enhance the natural appearance of your aquarium. Aqua One Silk plants are superbly soft and natural. 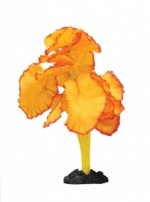 This Orange Rush is available in a range of beautifully made sizes and looks extremely realistic. 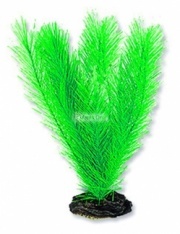 Combine with other silk plants or use a single item to enhance the natural appearance of your aquarium. Aqua One Silk plants are superbly soft and natural. This Green / White Sword is available in a range of beautifully made sizes and looks extremely realistic. Combine with other silk plants or use a single item to enhance the natural appearance of your aquarium. Aqua One Silk plants are superbly soft and natural. 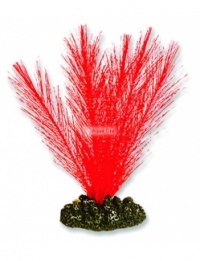 This Red Amazon is available in a range of beautifully made sizes and looks extremely realistic. Combine with other silk plants or use a single item to enhance the natural appearance of your aquarium. 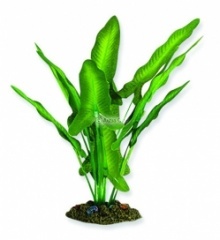 Aqua One Silk plants are superbly soft and natural. 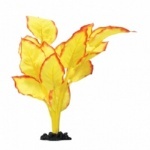 This 40cm Yellow Tiger Lotus is beautifully made and looks extremely realistic. Combine with other silk plants or use a single item to enhance the natural appearance of your aquarium. 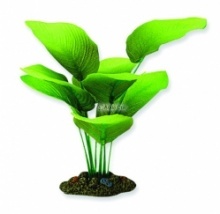 Aqua One silk plant Lotus Lily 40cm are both tough and realistic looking. This pack includes a strong base.